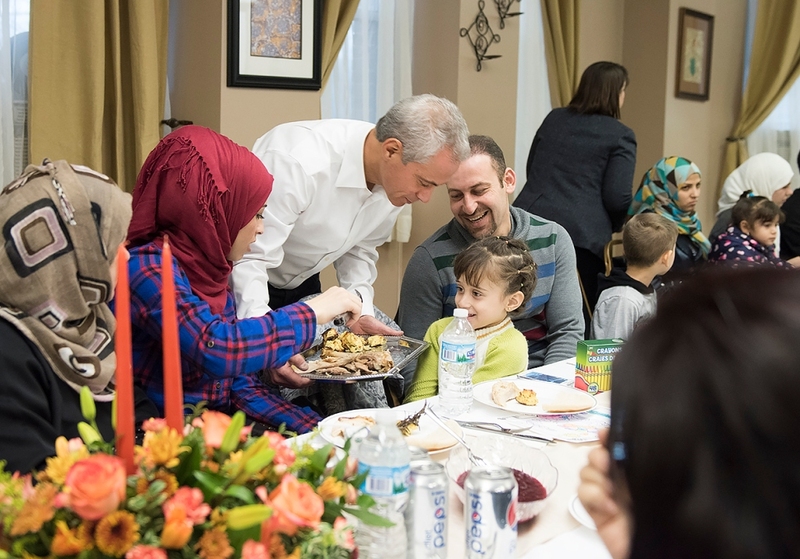 Chicago Mayor Rahm Emanuel eats dinner with Syrian refugee families on Wednesday, Nov. 25, 2015 hosted by Oakland A's pitcher and girlfriend Eireann Dolan. Oakland A’s pitcher Sean Doolittle and his activist girlfriend Eireann Dolan, who is a native of Illinois, hosted 17 Syrian refugee families for a Thanksgiving meal in Chicago on Wednesday night with Mayor Rahm Emanuel as a special guest. 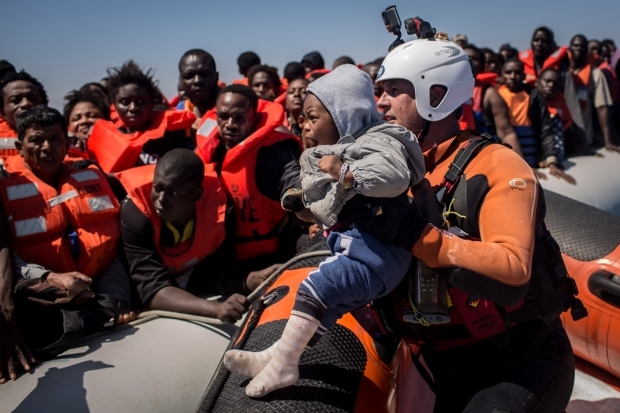 The idea of whether to accept Syrian refugees has become controversial as of late, as some critics fear that terrorists could slip in as desperate families seek safe shelter from their war-torn homeland. But the couple shunned those worries, and instead decided to act how they think all Americans should. Her photo shows women in hijabs and a young boy wearing a Cubs baseball cap seated around a festive table, dotted with Pepsi, flowers and cranberry sauce. A’s spokesman Ken Pries told NBC Bay Area on Friday the power couple hosted the dinner on Wednesday and have no personal connection with the refugees. The city of Chicago and the mayor helped put them in contact with the group, he said. “It was obviously a very nice gesture," he said. The couple has made nice gestures before. The A’s kicked off LGBT Pride Night in June, which sparked some homophobic reaction, such as season ticket holders indicating they wanted to sell their tickets. Dolan, who said she has two “super gay” moms, and Doolittle offered to buy any unwanted tickets up to $3,000, and donate the tickets to the Bay Area Youth Center’s Our Space community for LGBTQ youth.